So, What is a Granny Flat? The Collins Dictionary definition of a Granny Flat is : noun, self-contained accommodation within or built onto a house, suitable for an elderly parent. Also called: Granny Annexe. By the true definition it is for a “Granny”! But they are no longer only just for Granny! Logan Granny Flats (and Ipswich Granny Flats) have seen what a great opportunity Logan City Council has offered to investors in the local area : with the relaxation of the planning guidelines, Granny Flats technically termed ‘Auxilliary Dwellings’ are now allowed for the investor! 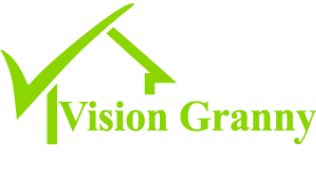 Essentially, a Granny Flat is another, smaller home on your property and usually located to the rear of the main home as a separate building or it can be built as an attachment to the main dwelling. They can be built beside, behind, below or above a primary dwelling. What does a Granny Flat contain ? Who suits a Granny Flat ? Logan City Council under a relaxation of the Planning Scheme now allows Granny Flats or ‘Auxiliary Dwellings’ to be built for investment purposes – we here at Logan Granny Flats have been the market leaders for the Brisbane & SE Queensland area in the implementation of this new opportunity. We are the true Granny Flat Experts ! The Granny Flat Solution : It’s becoming a world wide movement – the demand is increasing as cities become more and more populated. This is a great solution to the urban infill strategies that more and more councils are now adopting to address a number of pressing issues such as affordability and the chronic housing shortage in some areas. And as they don’t make any more land – it’s a global trend on the rise!